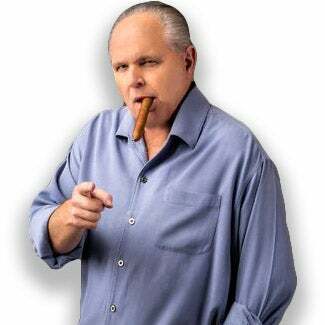 RUSH: One other thing that we’re learning here about Strzok, ’cause we had a question earlier about Flynn and why did he talk to these guys? Well, we now know why. A very quality, good journalist named Sara Carter has posted a piece. I think it ran at Hannity’s website. Peter Strzok, however you pronounce it, he was working under Comey. Comey knew what this guy’s anti-Trump biases were. So that’s another justification for Trump to fire Comey. Comey’s another one of these guys that had an impeccable reputation. You talked to anybody that new Jim Comey going all the way back to when he was deputy for Ashcroft, even before this, Jim Comey was a guy, he had engineered this impeccable reputation. Now look at it. And everybody is now starting to question whether he truly was so deeply partisan that he was in the tank for Hillary and taking the FBI in that direction. But the answer to why did Flynn talk to the FBI, according to Sara Carter, Flynn didn’t know that he was being interviewed. Now, here are the details. Sara Carter writing yesterday, According to another source with direct knowledge of the January 24th FBI interview of Flynn, Andrew McCabe, the deputy FBI director under Comey, contacted Flynn by phone at the White House. Flynn was at the White House on January 24th, he gets a call from McCabe, number two at the FBI. “White House officials had spent the ‘earlier part of the week with the FBI overseeing training and security measures associated with their new roles [as part of the transition] so it was no surprise to Flynn that McCabe had called,’ the source said. That’s Sara Carter’s story on how the Flynn — in other words, there was deception. The number two guy at the FBI calls Flynn, the FBI’s been at the White House all week working on new stratagems and new policies relating to security and so forth with the new administration. MaCabe says, hey, the FBI’s coming back in, and Flynn says, fine, we’ll clear ’em at the front gate. They come into his office and the official interview begin. He was not told that it was an official interview. He was not told anything. So he had no lawyer there. He didn’t even suspect. So the way Sara Carter writes this makes it look like it was an act of deception. And of course the number two at the FBI calls you, and you already got exercises going on with the FBI all week, and the number two at the FBI calls you, and you’re Flynn, and he says, “Yeah, the FBI’s coming back, can you see ’em?” You think it’s a continuation of the work you’ve been doing all week. RUSH: Okay. So we got Peter Strzok, an anti-Trumper, with a mistress who’s also an FBI lawyer who is also anti-Trump, and he’s tweeting and texting with her in their back and forth with their anti-Trump messages. Get this from Fox News: “Fired Aide to Robert Mueller Was Key Player in the Clinton Email Probe — A top prosecutor who is now a deputy for Special Counsel Robert Mueller’s Russia probe praised then-acting attorney general Sally Yates after she was fired in January by President Trump for refusing to defend his controversial travel ban,” which the Supreme Court just declared fully constitutional. This guy’s name is Weissmann. His name is Andrew Weissmann, and we’ve known… I mean, he’s Mueller’s top guy, and he despises Trump. Weissmann is the guy who designed the predawn SWAT team raid of Manafort’s house. This investigation is tainted. It is populated with biased, unfair, anti-Trumper Clintonites and Obamaites. Now, this is at Fox News. Don’t expect ABCCBSNBCCNN to be reporting this. You will not hear about. Unless it is to praise these people. Wouldn’t doubt that at all. ZeroHedge: More Anti-Trump Messages Reportedly Sent By Members Of Mueller's Team: "A Lot More Is Going To Come Out"